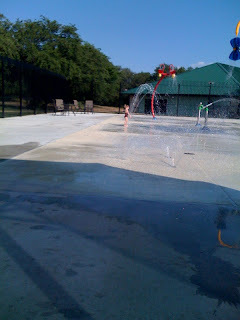 We went to the spray park today. Abby had a blast. I forgot my camera so this is the best picture I could get from my phone.